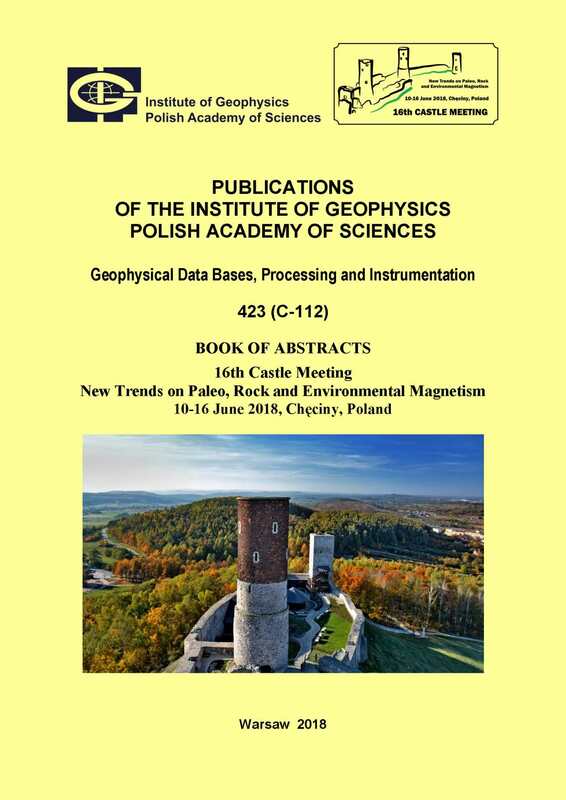 This year we have the pleasure to attend already the 16th “Castle Meeting” on Paleo, Rock and Environmental Magnetism. Although 16 is not the right reason to celebrate, these meetings started exactly 30 years ago as meeting on Paleomagnetism, Rock Magnetism and Database Usage. 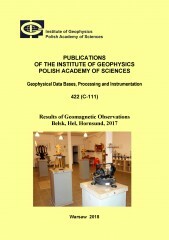 This publication contains basic information on geomagnetic observations carried out in 2017 in three Polish geophysical observatories: Belsk (BEL), Hel (HLP), and Hornsund (HRN). All these observatories belong to the Institute of Geophysics, Polish Academy of Sciences. 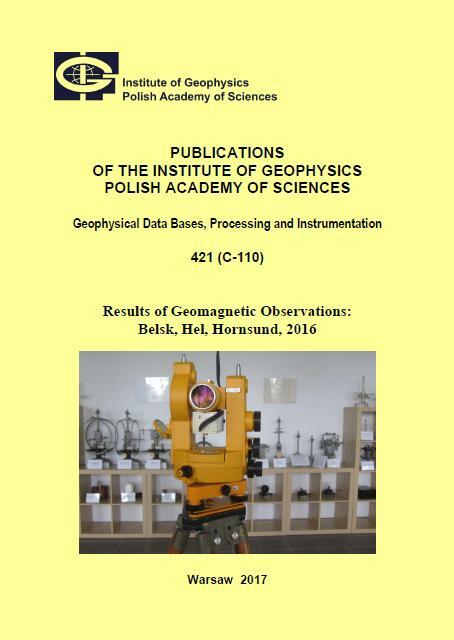 Observatories Belsk and Hel are located on the territory of Poland, while Hornsund is in Spitsbergen archipelago, under Norwegian administration.In 2017, like in the previous years, the Belsk, Hel, and Hornsund observatories have kept a close collaboration with the world network of geomagnetic observatories INTERMAGNET. The Belsk Observatory joined INTERMAGNET in 1992, Hel in 1999, and Hornsund in 2002. 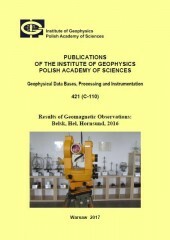 This publication contains basic information on geomagnetic observations carried out in 2016 in three Polish geophysical observatories: Belsk (BEL), Hel (HLP), and Hornsund (HRN). All these observatories belong to the Institute of Geophysics, Polish Academy of Sciences. 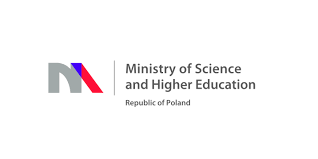 Observatories Belsk and Hel are located on the territory of Poland, while Hornsund is in Spitsbergen archipelago, under Norwegian administration. In 2016, like in the previous years, the Belsk, Hel, and Hornsund observatories have kept a close collaboration with the world network of geomagnetic observatories INTERMAGNET. The Belsk Observatory joined INTERMAGNET in 1992, Hel in 1999, and Hornsund in 2002. 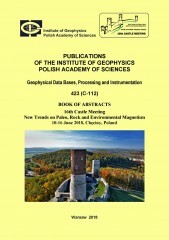 This publication contains basic information on geomagnetic observations carried out in 2015 in three Polish geophysical observatories: Belsk (BEL), Hel (HLP), and Hornsund (HRN). All these observatories belong to the Institute of Geophysics, Polish Academy of Sciences. Observatories Belsk and Hel are located on the territory of Poland, while Hornsund is in Spitsbergen archipelago, under Norwegian administration. In 2015, like in the previous years, the Belsk, Hel and Hornsund observatories have kept a close collaboration with the world network of geomagnetic observatories INTERMAGNET. The Belsk Observatory joined INTERMAGNET in 1992, Hel in 1999, and Hornsund in 2002.